Why Coach With Frank Deardurff? If you want to achieve success, you want to use resources that successful people have utilized. Or follow the success of successful people. Frank is unique in matching both of those statements, having been a complete web master to many online superstars for 20 + years while also creating many products, services and training materials of his own. He has been able to help his clients achieve the success they were looking for with their online business and websites. Some current and past clients that he has been webmaster for or worked on projects for are people such as Armand Morin, Alex Mandossian, Mike Litman and Jason Oman (Authors of Conversations With Millionaires), Mark Victor Hansen and Jack Canfield (Authors of Chicken Soup for the Soul), and Lorrie Morgan-Ferrero. He has also worked on projects for Brian Tracy, Les Brown, Stephen Covey, Stephen Pierce, Rich Schefren and many more. Frank is more than just a web master. His abilities reach further than just designing a website. Having skills in website server setup and maintenance, and having been a certified network consultant he knows the technical side of things as well. Along with having been a graphic artist most of his life, you can add nearly 20 years as an online entrepreneur himself with many products and services. In addition to providing countless hours of online training for his students and the students of several other online memberships. It is the combination of these skills that you will be able to tap into when you select one of the coaching options below. If you have questions feel free to contact our support team. If you’re looking for an accountability partner and guidance than this option may be best for you. We will spend an hour one-one session each month to discuss what’s needed next, see what’s holding you up and keep you going to reach your goals of a successful online business. This also includes email support as needed throughout each month. This also includes access to Frank’s Inner Circle Monthly Membership which gives you access to all of his trainings, quick tips, and video tutorials. Space is limited to give quality time for each person. Many times we just need reassurance that we’re heading the right direction. Other times we are stuck on just one thing and need some guidance. In either case, just having someone to talk to that “gets it” will save hours if not days of frustration. That is why the one hour consultation with Frank is a smart choice. During this one hour session you can talk to Frank about your business challenges, product ideas, design problems or even website technical issues. And if for some reason he can’t answer your question, Frank will locate an answer for you if at all possible. Availability is on a first come first served basis. Register for your consultation today and we will reply to you quickly about getting your time scheduled. If you’re looking for an accountability partner and guidance than this option may be best for you. We will spend an hour one-one session each month to discuss what’s needed next, see what’s holding you up and keep you going to reach your goals of a successful online business. This also includes email support as needed throughout each month. This also includes access to Frank’s Inner Circle Monthly Membership which gives you access to all of his training, quick tips, and video tutorials. If you have a website, you know that it is a constant work in progress. Adding “one more thing”; tweaking here; testing there. Many times we look at our own website so much that we quickly lose sight of what we’re actually looking at. More so, you’re not getting the results you need and just don’t know why things aren’t working. It’s at this point that you are a prime candidate for a website critique. Even with Frank being Marketing Webmaster himself even he has taken advantage of having his website critiqued. Getting a review can get you back on the right track quicker than you would think. When you have a website critique with Frank, He will be brutally honest. He’ll tell you exactly what I think is working and isn’t working on your website. He’ll ask you about your business, what you’re trying to achieve and point out areas of what you need to correct or add to get better results from your website. Why would you want to get a website critique from Frank – That One Web Guy? 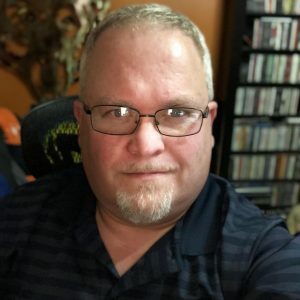 If you look at his About page you will see he is a complete web guy, graphic artist, entrepreneur, author, and understands direct response techniques that help make a successful website. He “gets it”, He’s been where you’ve been. When He started online there was no Google for him to find out how things were done. He learned from hard work and research and has kept up to date with what is going on today. He has, to as you see markets his own products as well. During your website critique, we will schedule a time for the critique. he’ll ask you some key questions live on the review and then we’ll get busy and look at all of the needed areas for your site. This will be video recorded and sent to you as an MP4 file for you to review as much as you need. Space is limited, grab your spot today. This option is VERY limited and obviously isn’t for everyone. You will receive everything as outlined in the website critique option as above but the twist is, Frank will actually make the changes for you that was discussed on your critique. This is NOT a complete makeover or a site built from scratch. It is, however, a site clean up and repair base on the critique/review. Frank has only offered this one other time and pulled the order link after 10-days. The price for this could increase in the near future as he only has so many hours in the day and as mentioned, Frank will actually make these updates himself. Inner Circle membership gives you access to all of Frank’s training courses past and present. This allows you to learn what you need to know to get your business on track. This covers WordPress training, Graphics training, even Microsoft office training and much more. Also, you gain access to all of Frank’s quick tip videos. These are videos that we feel don’t fit into a training course but are good “need to know” information. You also receive Email anytime support so that if you get stuck you can submit a question to the support desk and you will receive a direct reply with the answer. If Frank doesn’t know it, he will do his best to locate an answer. In addition, you can request a "how to" training video. Let's say you are trying to figure out how to do something and you don’t find a training video for it in the member's area. Simply submit a request for what you are trying to do and Frank will record that video and add it to the member's area.